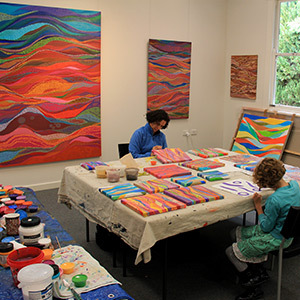 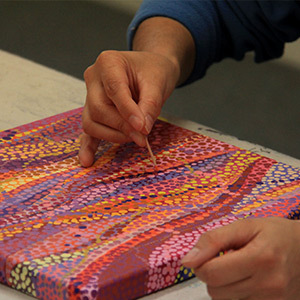 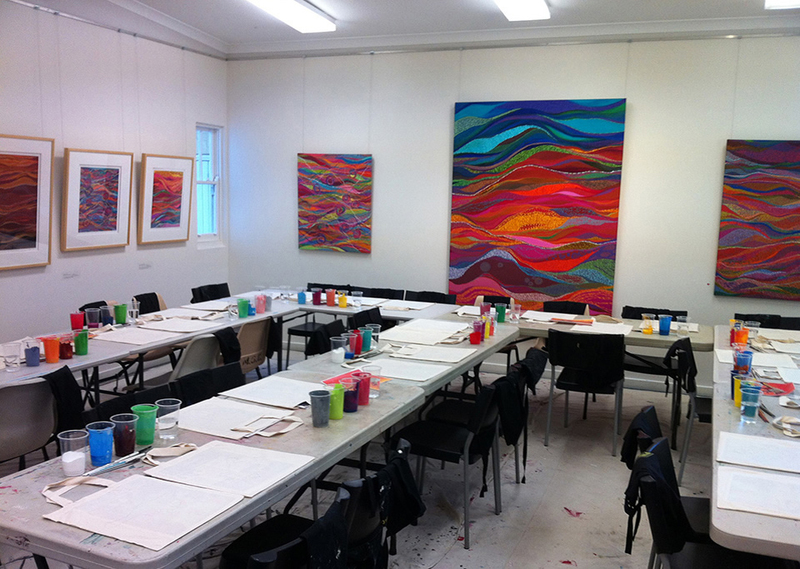 From July 19 to 25 August 2013, Deborah Bonar was artist-in-residence at the Mundaring Arts Centre as well as exhibiting her artwork with a group of Aboriginal artists in an Exhibition titled Third Space. 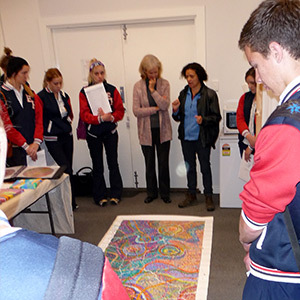 As part of her artist-in-residence, Deborah Bonar conducted two primary school art workshops and an Artist Talk for NAIDOC. 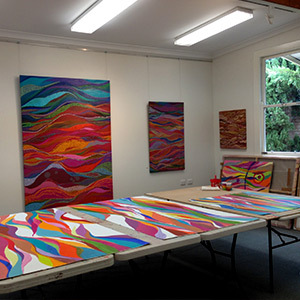 She talked about her art practice and her public art commissions and showed them examples of her vibrant artwork. 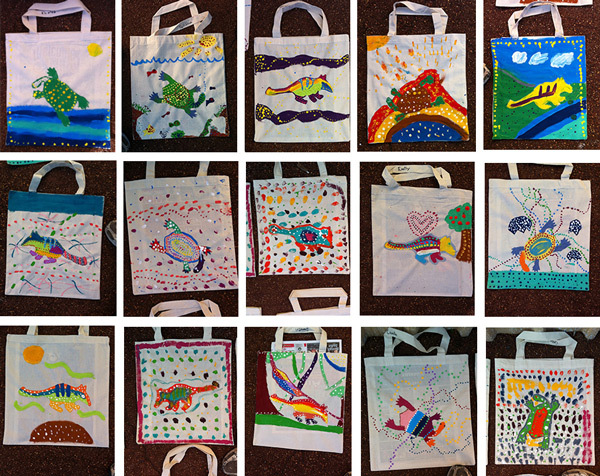 The students were then given the opportunity to paint a numbat or a long necked turtle on calico a bag. 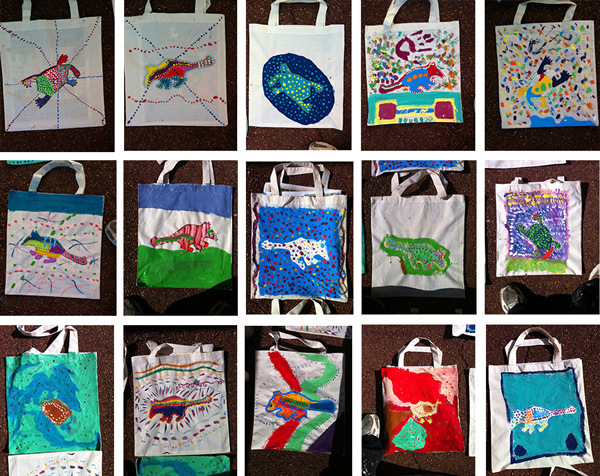 Artworks produced at the children's workshops are featured below. 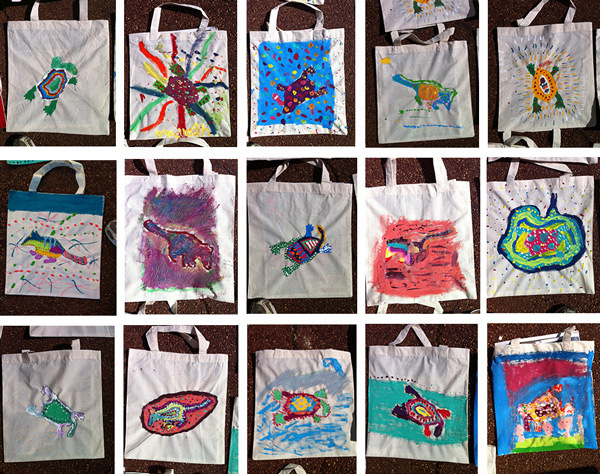 Children from Mundaring Christian College, Year 3 & Year 5.